Venezuela is a country full of beauty with its many waterfalls, priceless natural environment and a large number of unique species of flora and fauna. During your hikes in the Canaima National Park, you will undoubtedly spot various breed birds and lush vegetation. 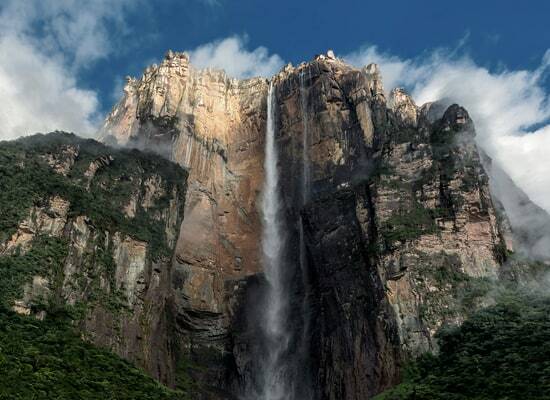 You should also make it a priority to see the Falls of Salto. Bathed by the Caribbean Sea, Venezuela is home to a breathtaking coastline. Make your way to the university campus of Caracas, known for its modern architecture. For a spot of history, explore the famous monuments one by one. In Venezuela, it is possible to have excellent medical care, especially if you are in Caracas or in big cities. Many travelers use Clinica El Avila, Instituto Medico La Floresta or Centro Medico Docente La Trinidad. Public health facilities are free and in large numbers in the country, but medical supplies are scarce and care varies greatly. In rural areas, it is difficult to access good care. A medical evacuation by plane proves to be necessary in case of serious diseases. Pharmacies in Venezuela are well stocked. Drugs that require a prescription come from the United States. If you need a public ambulance, call 171. Note that the service is variable. To have good care, it is possible to call on a private ambulance. For this, call ServiMedic Venezuela. Is Venezuela Safe for Travel? Only a passport is required to enter Venezuela for trips under 90 days. Yout passport must be valid for at least six months beyond the date of departure.